February 28th is National Public Sleeping Day. And to celebrate, we’re sharing exactly how to up your nap game. So, snuggle up, because we’re about to drop some seriously snooze-worthy tips. Okay. But first, what’s a power nap? A power nap is a short midday nap. Dr. James Maas, a nationally known sleep expert and Naturally Slim® instructor, coined the term while consulting for information technology giant, IBM. According to Dr. Maas, a power nap should last between 15 to 20 minutes or exactly 90 minutes—a complete REM cycle. Sleeping between 20 and 90 minutes or more than 90 minutes will leave you feeling groggy or worse, keep you awake at night. So, when power napping, be sure to set your alarm. Awesome. Why should I power nap? A third of U.S. adults don’t get enough sleep. And if you’re one of them, you probably already know that lack of sleep can leave you feeling drowsy, grumpy, and in dire need of all the coffee. What you might not know is that when you’re consistently sleep deprived, you­­r immune system doesn’t work as well, and you increase your risk of disease. The good news is, when you make power napping a habit, you lower your risk of having a heart attack or stroke by 35%! Plus, taking a power nap helps your brain consolidate memories. Napping after learning something new will help you better retain what you’ve just learned. Indeed, we did. Here are four of Dr. Maas’s favorites. 1. Nap in the early afternoon. The best time to power nap is between 1 and 3 PM. 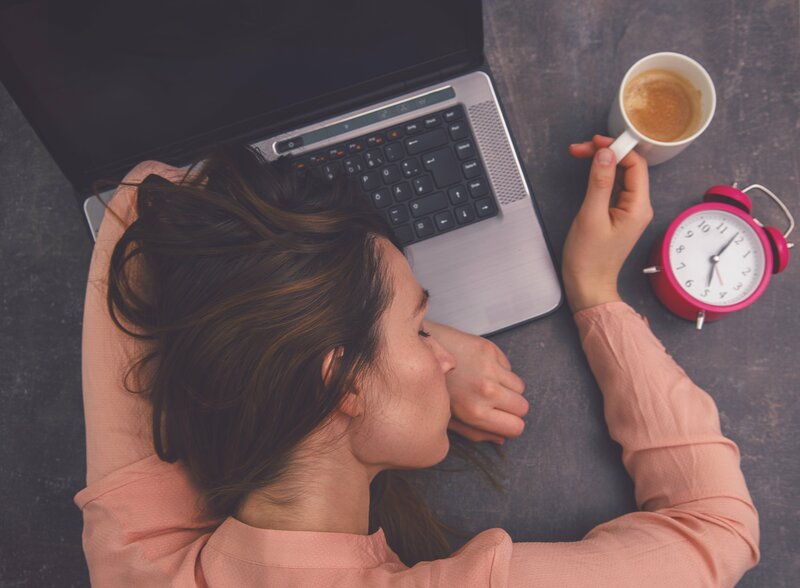 Around that time, you experience what Dr. Maas and some others call a “midday dip in alertness.” Taking a quick nap recharges you enough to power through the rest of the day. 2. Have coffee before your nap. While it might sound counterintuitive, having a cup of coffee before a 20-minute snooze session will help you feel more alert when you wake up. You start to feel the effects of coffee about 15 to 45 minutes after your first sip—just enough time to drink up then take a short nap! 3. Alert your boss or co-workers. If you plan to grab some shut-eye at your desk, it’s a good idea to let your boss or deskmate know beforehand. If they give you a strange look, share how napping is proven to boost employee productivity or send them a copy of this article. That way, they don’t equate your sleeping with slacking! 4. Don’t sweat if you don’t fall asleep. If you’re opting for a shorter power nap, you don’t actually have to fall asleep. Closing your eyes and quieting your thoughts for 15 to 20 minutes will still leave you feeling refreshed. If you do fall asleep in 15 to 20 minutes, you might be sleep-deprived. Use these tips to get the most out of your midday doze. Happy napping! Related Blog: Are You Operating on All Cylinders?